THIS CAMP IS FULL- ANY NEW REGISTRATIONS WILL BE PUT ON A WAITLIST AND YOU WILL BE CONTACTED IF A SPOT COMES AVAILABLE. 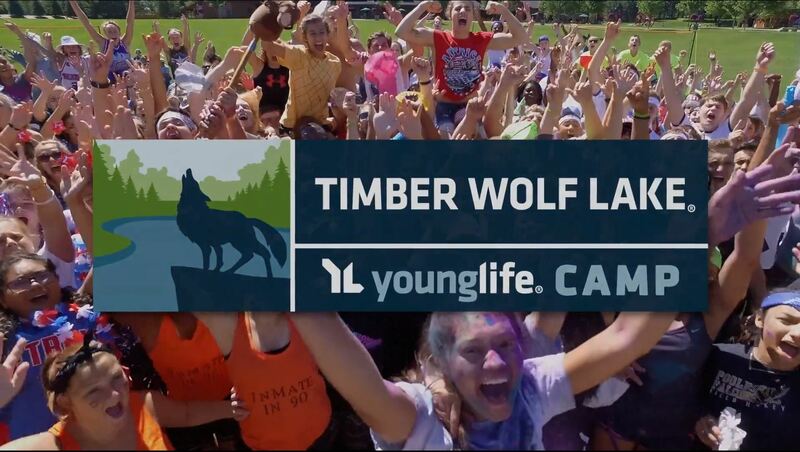 Students come to Timber Wolf Lake for a week of adventure, fun and a chance to consider a relationship with God. All of this takes place in the breathtaking landscape of northern Michigan’s rolling hills and dense forests! Timber Wolf Lake Summer Camp is for all incoming 7th - 9th graders who want to spend time with friends and leaders. While at camp students will enjoy fun-filled days with activities including zip lines, the big swing, water blob and much more. ​​​Join us this summer for one of the best weeks of your life! We do not want the cost of the trip to prevent anyone from going. If you are willing to participate in the fundraisers and the cost still presents a problem, talk with a leader. We want you to go with us this summer. Health and Consent Forms must be completed online!